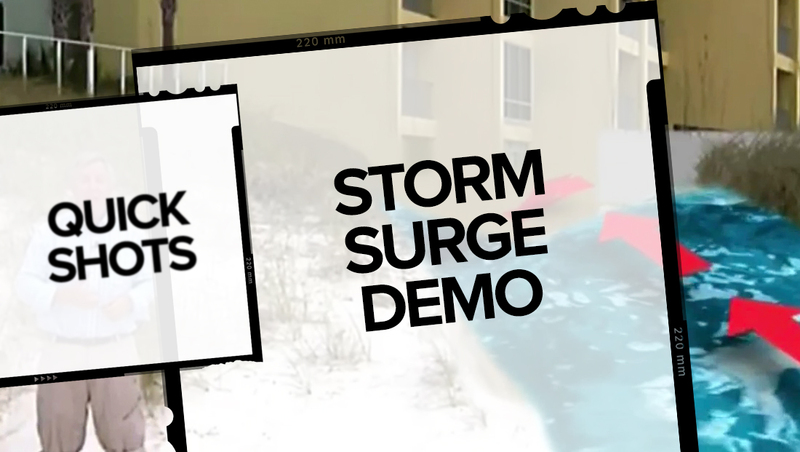 NBC News‘ Kerry Sanders used a simple implementation of augmented reality to showcase the effects of a storm surge as part of “NBC Nightly News” coverage of Hurricane Michael on Tuesday, Oct. 9, 2018. 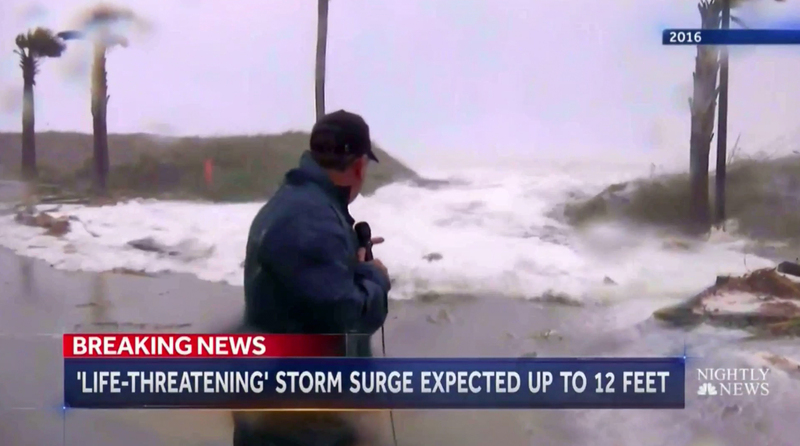 This footage, from 2016, shows NBC correspondent Kerry Sanders nearly getting washed away by storm surge. 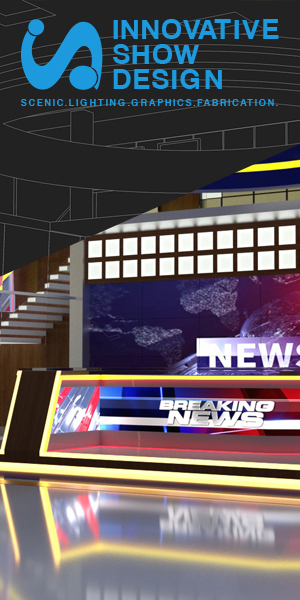 Sanders then used a simple form of augmented reality to showcase different levels of water. Watch the video clip below or here. 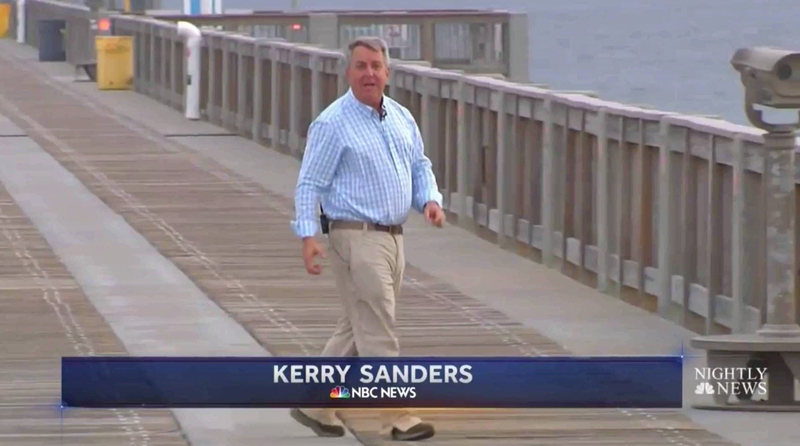 Sanders also used a two-camera standup with him walking down a pier that has been specially engineered to withstand hurricane storm surge. 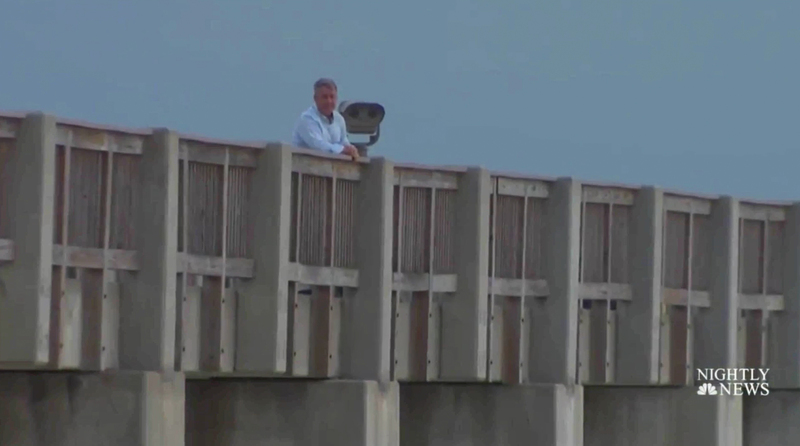 The view then switched to a view of Sanders perched atop the large pier.